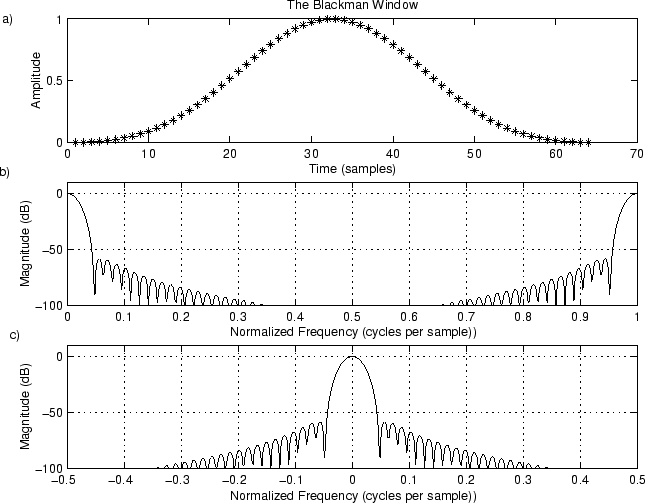 Figure 9.5:The Blackman Window. a) The window itself in the time domain. b) DB Magnitude spectrum. c) DB magnitude spectrum plotted over frequencies .